It’s already February and we have loads of events for you to take in the last month of Summer! Head to the National Museum of Australia for an unbeatable double-feature of ‘Rome: City and Empire’ and a free screening of the iconic Russel Crowe flick, Gladiator (2000, rated M). Bring your blanket, picnic basket and enjoy it lakeside, under the stars. There are candy bar and drinks available. Gladiator screening starts at 6pm – free with no booking required and ‘Rome: City + Empire’ is open 8am – 7pm, tickets sold on their website. The Playhouse Theatre is hosting a hilarious show where the stage will be reimagined as a flat floor club, with two bars for this game show sensation. Miss Behave and her sidekick Tiffany deliver a night of satirically subversive fun and games that has even the most conservative audience turned unruly. Direct from Las Vegas, this smash-hit show is guaranteed to be riotous fun. For ticketing information, visit their website. 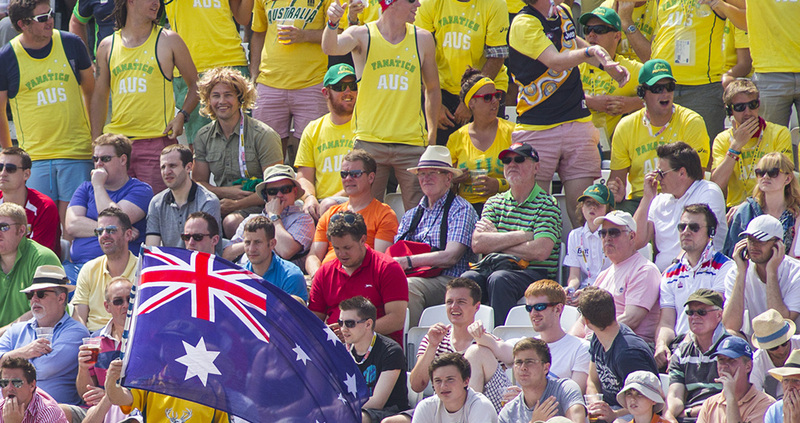 The first ever test international Domain Test Match at Manuka Oval will be an unmissable event! Get behind the Aussies led by Tim Paine and Justin Langer who will be looking to reclaim the Warne-Muralitharan trophy against Sri Lanka, led by world class captain Dinesh Chandimal. The games run from 10.30am all weekend and tickets are all under $30. To buy tickets, visit their website. Ever wondered how Heath Ledger got into character for ‘The Joker’ role? The National Film and Sound Archive are screening films noted in Heath Ledger’s ‘Joker Diary’, which served as inspirations for his iconic portrayal of ‘The Joker’ in The Dark Knight (2008). On the 1st, kick back and watch The Shining at 7pm, and on the 2nd Clockwork Orange will hit the screen at 4pm. To book your seats, visit their website. This one is for the kids! 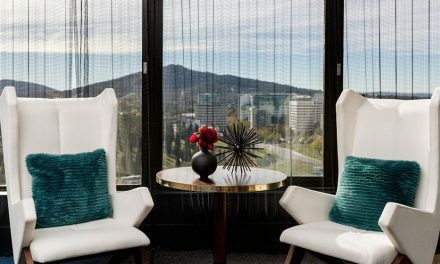 The Canberra Theatre Centre are hosting Andy and Terry’s Treehouse, which has reached an amazing 91 Stories! It’s now more fantastically dangerous than ever, with a deserted desert island, a whirlpool, and a giant spider! The team behind the 13-, 26-, 52- and 78-Storey Treehouses Live on Stage return with a fantastical trip through this wild, weird and wonderful world for children aged 6-12 and their adults. Make sure to stay back on Friday evening to meet Andy Griffiths and get your book signed! For tickets, visit their website. Celebrate World Wetlands Day at Jerrabomberra Wetlands and Canberra City Farm (2 Dairy Road, Fyshwick)! Eat delicious local foods, join a tour, participate in family activities, get your face painted, enjoy a Capital Brewing beer while watching the birdlife, buy local artwork, listen to music and more. This is a free event from 4-8pm for the whole family! The National Botanical Gardens are putting on a show on the Eucalypt Lawn with live music, dancing and delicious food and drinks. Bring family and friends for a picnic or enjoy the onsite catering, including wine and beer whilst you take in the sounds of summer. Take in the classic jazz tunes of Bewitched with the Jumptown Swing dance troupe on Saturday, or the Band of the Royal Military College on Sunday. To purchase tickets, visit their website. Calling all Burlesque enthusiasts! Four internationally toured and acclaimed artists from across Australia will be coming together at The Abbey in Gold Creek to perform alongside some Canberra-favourites at Decadence and Debauchery. The show includes Elizabeth Burton, a 71-year-old dancer and icon, who paved the way for modern-day burlesque in Australia! Decadence and Debauchery is a burlesque variety night happening at 8pm on Saturday, where the audience can enjoy dinner and a show. The following day on Sunday, Miss Maple Rose will be teaching her “Charleston 101” workshop at 1pm. For tickets, visit their website. For those after a chill Sunday sesh, this is for you! At Canberra Olympic Pool, you can relax by the pool with live music and DJ, jump in the water from a 5m meter tower, show your mates how to play beach volley or just chill with your family on their wide grass area. Other activities include: Inflatable Aqua Run, Giant Slip n’ Slide, Jumping Castle, Live Music & DJ (from 2 pm) and a Sausage Sizzle. For more information, call 6248 6799 or email [email protected].